Last year the LA Auto Show came and went meanwhile many automakers are keeping their biggest surprises for Detroit. In the meantime automotive news is mostly focuses on an onslaught of upcoming small and medium sized CUVs and SUVs. It is the snowy season, after all, and those vehicle segments have done incredible business recently. Also a vehicle segment that seems to be on the up and up is the 3-door hatchback. Case and point: Hyundai is ready to kick off the new model year with a revival of their hit Veloster for the next generation. Hyundai has had a good run in recent years. Many attribute their most recent successes to their quick adoption of emerging new automotive technology. However they also have a good track record for lineups in vehicle segments that sell well. That is what makes the revival of the Veloster somewhat of a surprise. Small cars are struggling a bit in the US. 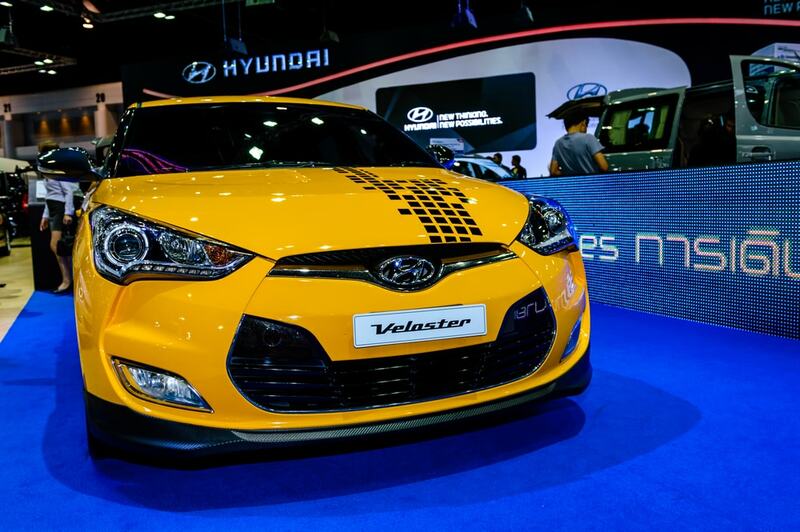 However if Hyundai is confident that they are or will make a genuine comeback, it is a good sign that the Veloster will be on Hyundai’s frontlines. Car and Driver recently released photos of a camouflaged prototype. While the new Veloster’s unique 3-door setup is mostly hidden (two doors on the passenger side, one on the driver) there’s no denying that the overall revamped styling is definitely worth writing home about. After all: the tree door setup is just one of the Veloster’s more unique features. According to the report from Car and Driver, we can definitely expect to see that the Veloster will use its signature 200 horsepower 1.6-liter turbo 4-cylinder engine. That should put out close to 160 horsepower which is not bad for a naturally aspirated base engine small vehicle. One thing that we found interesting from the Car and Driver report is that the new Veloster also uses the same platform as the upcoming Hyundai Elantra. That hopefully means that the Veloster will be very fun to drive. It has been confirmed that the new Veloster will come have a six-speed manual transmission option with a seven-speed dual clutch option as well. Those are definitely promising signs for the Veloster’s drivability. Another notable piece of news with the Hyundai Veloster is that Hyundai has long been teasing the possibility of an “N” version. That’s a performance trim designation, by the way. Even among the most discerning automobile trade publications, the Veloster has always been considered a truly fun and exciting car to drive. However it has never really been considered a truly “hot” hatch among its direct competition in the class. However as we saw last year, Hyundai seems genuinely interested in boosting their reputation for performance. So it stands to reason that the Veloster is a prime candidate for a serious power and performance treatment. 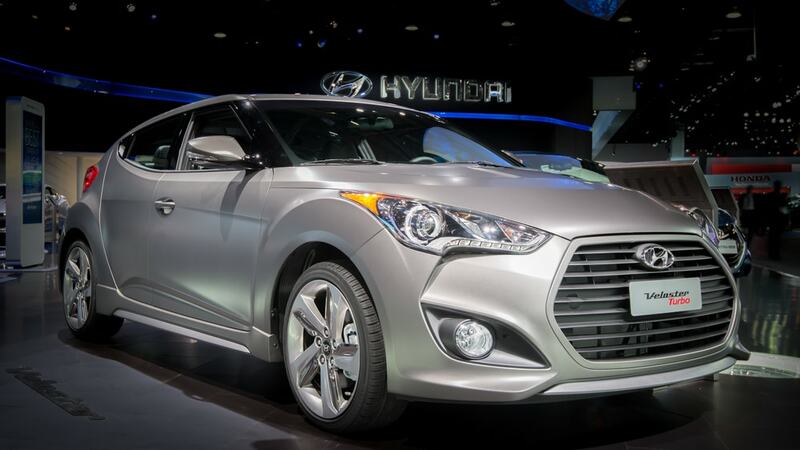 After a long hiatus this is the second official generation of the Hyundai Veloster. And it looks the part. Even in its camouflaged photos we can clearly make out the distinctive side surfacing. This is a clear upgrade from the last generation. The shape has been noticeably altered but it also is still recognizably the Veloster. The Veloster returning to hopefully kick-start newfound interest in small cars is a good sign. Maybe 2018 will be a good year for cars.